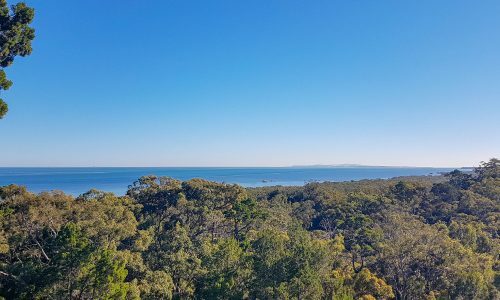 Experience hillside acreage living by the sea! 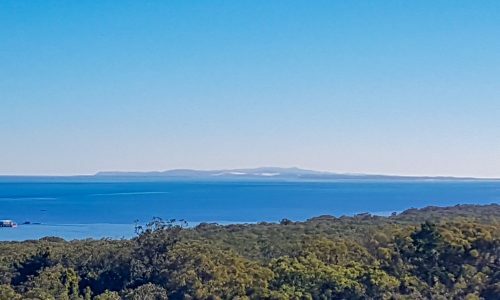 Rare rural acreage with bay views! 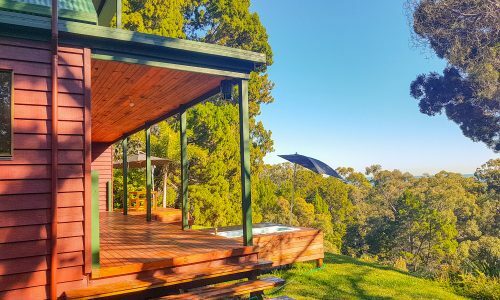 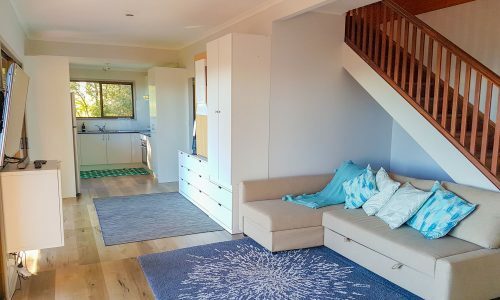 High above the trees of Myora Springs on Campenbah Hill, sits this unique 3-bed bush cabin getaway, offering calming natural surroundings and breathtaking bush and water views of Moreton Bay. 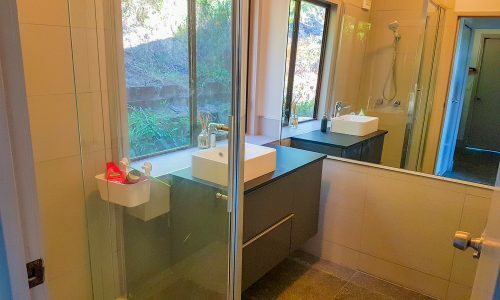 Newly renovated (2018), the house is secluded on a 16 acre block with bushwalking tracks and natural fresh water springs to explore. 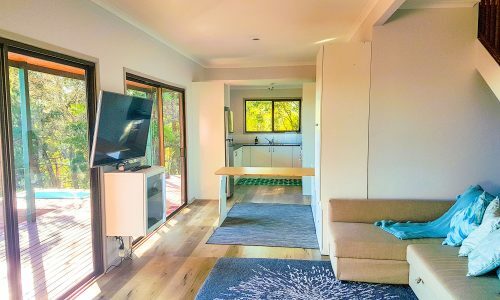 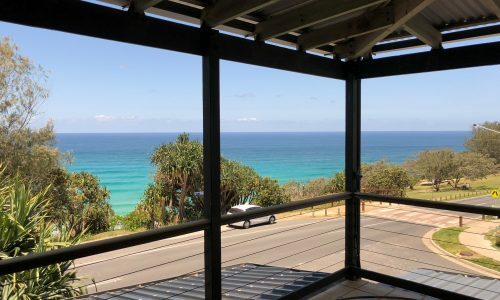 The private location is perfect for taking advantage of all Straddie has to offer (including Point Lookout beaches, Amity and Dunwich)…. 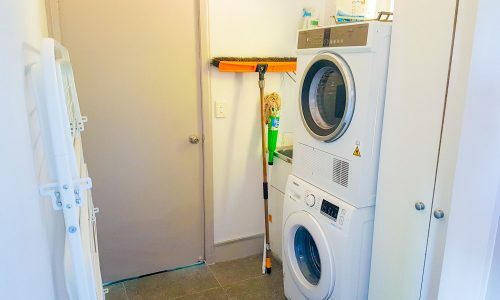 or none of it! 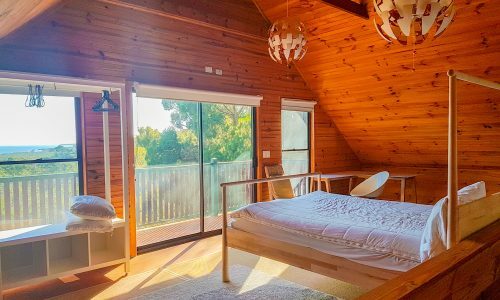 The space: The cabin is built to complement its gorgeous natural surroundings with big windows open to the greenery and expansive bay views. 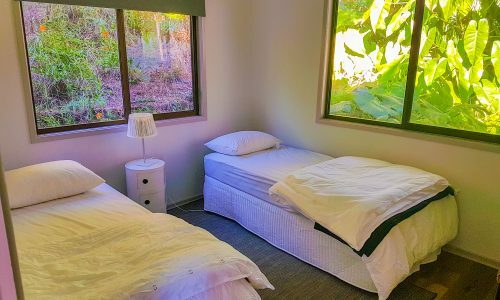 There are 3 air-conditioned bedrooms – a double and twin downstairs, with the spacious main bedroom upstairs with its own private balcony – a perfect parent retreat which can accommodate an additional bed or a cot, if required. 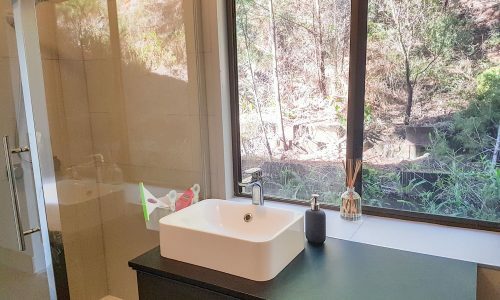 The bathroom, laundry and kitchen include all modern appliances and amenities. 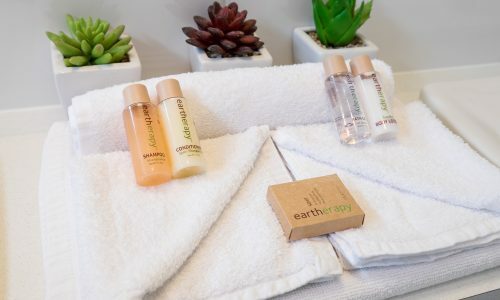 You will find fresh linens, soaps, shampoo and conditioner provided as well as kitchen cleaning supplies included. 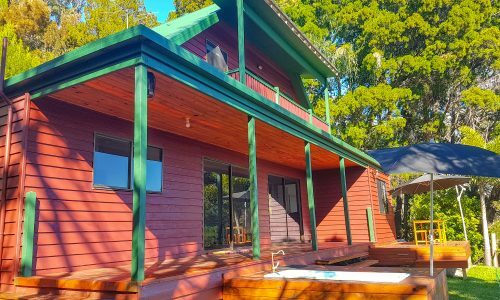 At entry level, the large covered deck and the outdoor bathtub is perfect for a sunset beverage enjoying the glorious bush and ocean views! 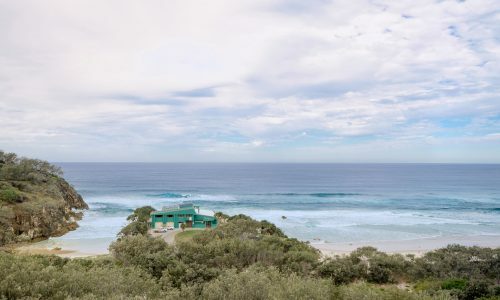 Location: The house is removed from the hussle and bussle of Point Lookout, while still only a 15 mins drive away. 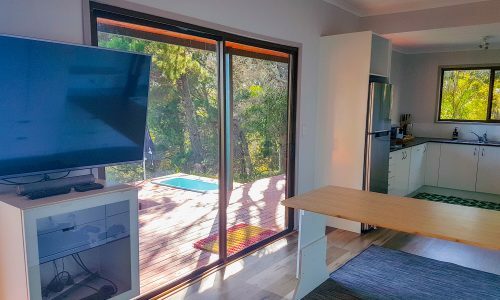 You can also easily access Amity and Dunwich by car, and the island bus service stops at Myora Springs on its way to and from Point Lookout. 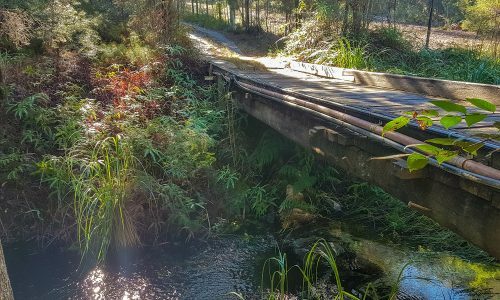 About Myora Springs (Campenbah): these are one of Straddie’s hidden gems. 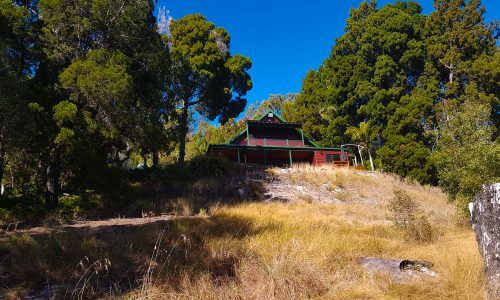 Campenbah is a place of great spiritual significance for the islands indigenous Quandamooka people, with a midden dating back many thousands of years. 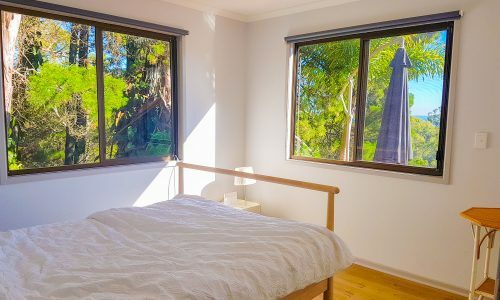 The Campenbah Creek runs through the Myora Getaway property, sustaining the local fauna including koala, goanna and a myriad of native bird life. 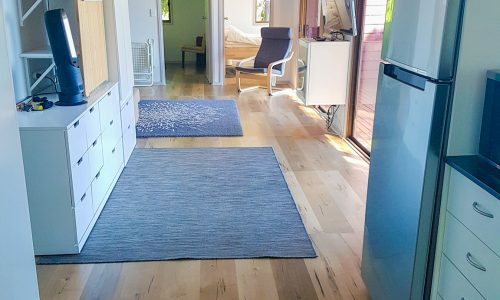 NOTE: The property has a steep, winding driveway that is best accessible with a 4WD/AWD vehicle. 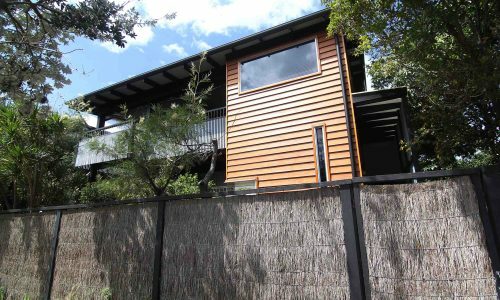 The alternative is a 200m final walk up the hill.